Pulmonary embolisms occur when a blood clot moves from a body part—often the arms, legs, or abdomen—and blocks an artery in the lungs. These need to be diagnosed and treated right away. Certain factors increase the likelihood of a blood clot that could develop into a pulmonary embolism: prolonged sitting, damage to the walls of your veins, or certain medications and traumas. Some indications that you may be experiencing a pulmonary embolism include dizziness, labored breathing, persistent cough, chest pain, and leg pain. A failure to diagnose a pulmonary embolism may result in death. At Moll Law Group, our Chicago medical malpractice attorneys help patients who have not been properly diagnosed and treated. We also represent families who lost a loved one due to a doctor's failure to diagnose. In some cases, the signs and symptoms of a pulmonary embolism are mistaken for something else. For example, a doctor might believe someone with a persistent cough has a respiratory ailment. On the other hand, if a doctor properly identifies the blood clot, it can be treated with blood thinners in order to prevent a pulmonary embolism. Once a pulmonary embolism is experienced, there will be very little time to fix the problem. An emergency surgery may be necessary. In some cases, a failure to diagnose a pulmonary embolism is the result of medical malpractice. Often, doctors use what is called a "differential diagnosis" to determine the correct diagnosis for a patient. This means that the doctor will list possible diagnoses for the set of symptoms with which the patient presents, organized from most likely to least likely and most severe to least severe. Once these are listed, the doctor is supposed to move down the list and rule out diagnoses by conducting tests or referring the patient to other doctors. A failure to list a pulmonary embolism in the differential diagnosis process, an improper ruling out of a pulmonary embolism, or a failure to perform an angiogram may fall below the standard of care and constitute medical malpractice. Generally, in Illinois, it is necessary to retain an expert both to prepare a certificate of merit and to testify whether a failure to diagnose a pulmonary embolism constitutes medical malpractice. The certificate of merit expresses the expert's opinion that there are meritorious reasons for the plaintiff to sue a particular doctor. 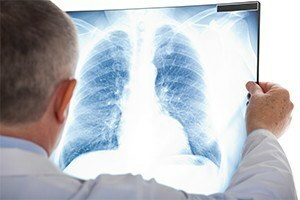 The expert will need to provide an opinion that the cause of the plaintiff's injuries or death was a failure to diagnose the pulmonary embolism, and that the patient's worsened injuries or death were not simply what would have happened even if the doctor had given the correct and timely diagnosis. A plaintiff who is able to establish injuries arising out of medical malpractice may recover compensatory damages. These are damages designed to return the plaintiff to the position in which he or she would have been had there been no malpractice. Damages may be economic and noneconomic. The former include any additional treatments that are necessary as a result of the failure to diagnose, as well as lost income. The latter may include pain and suffering as well as loss of consortium. Other damages may be available in a wrongful death case. If you were a victim of a doctor's failure to diagnose a pulmonary embolism, the Chicago lawyers at Moll Law Group are available to help you pursue compensation from a doctor and any other responsible parties. Our firm represents people in Wheaton, Naperville, and Schaumburg, as well as communities across Cook County. Billions of dollars have been recovered in cases in which we have been involved. Call us at 312-462-1700 or via our online form for a free consultation with a personal injury or wrongful death attorney.